What do the two items in this post’s title have to do with each other? I would have thought nothing, until I stumbled across a fascinating article last week. I’ll get to the article in a few paragraphs, but first let me briefly explain the problem for those who may be less familiar with it. Most Orthodox Jews in the United States (and a small but significant number of non-Orthodox ones as well) send their children to private day schools. As religious institutions, US law bars these schools from receiving any type of government support (federal, state or local). While donations cover some of the cost, the lion’s share falls on the parents in the form of tuition payments. 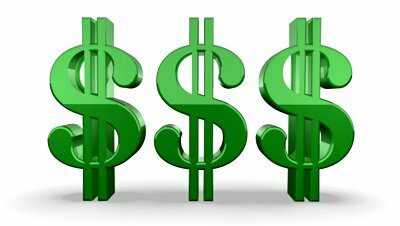 Rising education costs have driven the tuitions higher and higher, with an average day school now costing $10,000-$15,000 per year for elementary school, and high schools often approaching or exceeding $20,000. Summer camps (which many consider essential) add on as much as $5000-$10,000 more per year. And most parents then send their children to Israel for at least one year, with a price tag of close to $25,000 (plus airfare and living expenses). All of this, for each child, before even beginning to think about college and graduate school. A typical Orthodox family with, say, four children can easily see total education costs rising above $100,000 per year, after taxes. More and more families simply can’t do it without help. The costs continue to rise and the subsidies and additional funding are shrinking. The term “tuition crisis” has become common in the community’s discourse, and there is talk of Orthodox parents sending children to public schools or – worse – reducing the number of children they have. Some people are predicting nothing less than the collapse of the entire system. Everyone agrees that something has to be done, but to date, no real solution has arisen. It is time for Israel, and the strength of her economy, to play a critical role in making day schools affordable in new ways…. The Bank of Israel could make long-term, low-interest loans available to Jewish families…or, at the very least, it could provide a loan guarantee for day school parents…. While a child is enrolled in Jewish day school, part of the [loan] repayments would be covered for parents — half by the local Jewish federation and half by the State of Israel. Payments would be frozen whenever the recipient visited Israel, whether on summer programs, junior year abroad, MASA or some other long-term program. If the recipient makes Aliya by a certain age and stays in Israel three years, then all or part of the loan would be forgiven. The State of Israel is also creating a sovereign wealth fund to invest smartly the huge windfalls it expects from its recently discovered natural gas deposits — an estimated $125 billion over the next two decades. While Israeli education, defense, renewables and society should certainly be the major recipients of the profits here, asking the State to set aside 10 percent of the funds, or $12.5 billion, to finance affordable Jewish education around the world would radically transform lives and strengthen Israel by strengthening Jewish peoplehood. 1. Let’s understand what he just said. He wants the State of Israel to provide financial support to the American Jewish community. Think about what this means. For decades (actually centuries), Israel has been built and sustained through Diaspora philanthropy – it is rare to find an Israeli school, library, park, museum, hospital or other public institution that doesn’t display at least one plaque honoring donors from the Diaspora. But now it seems that the tables are beginning to turn. Thankfully, Israel’s economy is strong and growing, and sadly, America’s continues to flounder. It was only a matter of time before someone suggested the philanthropy should go the other way. This may sound overly dramatic, but I see this as yet another sign of what I wrote about a few months ago: the realization of the Messianic prophecies of redemption. The Jewish People is coming home, slowly but steadily. And as a result, the center of gravity in the Jewish world is changing. 2. I’m not very knowledgeable about financial matters, and I admit that Abramowitz lost me completely somewhere between LIBOR interest rates and endowment funds, but this proposal sounds like something we should seriously consider. Jewish education, around the world, is the single most important thing to the future of our People, and our State. Together with defense and welfare, it needs to receive the highest priority in our expenditures – and yes, we Israelis are responsible for Jews around the world. Israeli budgets are tight also, but we must make education a top priority. To that end, it was encouraging to read in yesterday’s news that the government will cancel further planned cuts to the funding of yeshivot, and will restore the funding for Diaspora students learning here. A plan like Abramowitz’s, which would announce to the world that the State of Israel sees itself as responsible for Jewish education worldwide, and simultaneously strengthens the bonds and encourages Jews to come to Israel and to ultimately immigrate here, sounds like a very solid investment. I think we should consider it. What do you think? This entry was posted in Uncategorized on December 24, 2013 by rabbihaber. Last year, a friend of mine who identifies with the haredi (“Ultra-Orthodox”) stream of Judaism matter-of-factly referred to the Maccabees as “haredi warriors”. Half-jokingly (but only half) I responded that I actually think of them as dati-leumi (National Religious) warriors. Contemplating Chanukah this year, I realized that at least one other group also tries to “adopt” the Maccabees in light of their own world-view: Secular Zionists. The Maccabees occupied a central place in the ethos of early Secular Zionist education (even though some of the leaders of the movement were avid atheists). So at least three different contemporary camps all claim to be the spiritual descendants of Matityahu and his five sons. The fact that we are all still grasping at their legacy almost 2200 years later certainly speaks volumes about the spiritual depth of their movement. But who is right? Were they haredi? Were they secular Zionists? Dati-Leumi? The Maccabees were secular Zionists. This way of thinking views them as freedom fighters battling for political independence. Yes, the secularists would admit, Chanukah does celebrate the re-dedication of the Temple in 165 BCE, and that was certainly a religious event. But, they might argue, after they had purified the Temple, the Maccabees didn’t stop fighting until they had established an independent Jewish state some 25 years later. And their descendants, the later Hashmonai kings, were Hellenists themselves who earned the disdain of the rabbis. Similar to early Israelis, the Maccabees were a group of courageous patriots with no military experience taking on the much larger and better-equipped armies of an imperial power, with their courage and dedication as their most important weapons. And their goal was a Jewish State. This is why secular Zionists view them as role models. My friend would acknowledge that it’s true that after the miracle of Chanukah the Maccabees and their descendants continued fighting for independence, and eventually lost sight of their religious motives and became Hellenists themselves. That is why, he would say, the rabbis established Chanukah in memory of the miracle in the Temple, and sharply criticized the Hashmonai kings for what they did afterwards! The lesson of this, he would say, is clear – there is no place for Zionism as a religious value. A Jewish state might have value if it can help us observe our religion better, but the only thing that really matters is religion, not political or military power. And what do I say? I stick to what I told my friend last year: The Maccabees were Religious Zionists! Precisely because both of the above points have some truth to them, it means that neither one of them is correct to the exclusion the other. On the one hand, as the haredim say, anyone who reads the history of the period knows that the Maccabees were motivated by the desire for religious freedom. But, as the Zionists saw, the lesson they learned is that in order to safeguard that freedom, we need a state and an army of our own. When we are ruled over by non-Jews, we can’t ever serve Hashem fully. In the [days of the] Second Temple, the Kings of Greece issued decrees against the Jews to eradicate their religion…until the God of our fathers had mercy on them…and the Hashmonaim appointed a king from among the Kohanim and monarchy returned to the Jewish People for over two hundred years, until the destruction of the Second Temple. He then goes on to discuss the miracle of the oil, and explains that because of these miracles – both of them – we have the celebration of Chanukah. 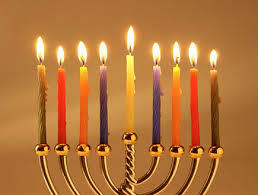 The miracle of the oil symbolizes the triumph of the religious spirit of the Maccabees – due to their self-sacrificing heroism, God performed a miracle that allowed the light of Torah (symbolized by the light of the Menorah) to burn far brighter and longer than it logically “should have”. But this spiritual miracle was only possible because of the war fought by a Jewish army, in search of Jewish independence and sovereignty. The Maccabees understood the need for both aspects. They were not haredim, and they were not secular. They were Religious Zionists, and Chanukah is the original Yom HaAtzmaut. In general, I try to avoid using single-term labels like “haredi” and “dati-leumi” (there are others as well) to refer to an entire philosophy of life and method of interpreting traditional sources. I don’t think this type of oversimplification does any good, and it does quite a lot of damage as well. Nevertheless, the terms do mean something, and at times we need to talk about the ideological disagreements that at times divide us. Some of the Israeli Chanukah songs many of us were taught as children originated in this time period. Even today, teachers in religious kindergartens often teach these songs without understanding some of the sentiments they express. For those who understand Hebrew and are familiar with traditional Jewish texts, take note of the deliberate transformation of religious themes into atheistic messages reflected in these two familiar passages: “מי ימלל גבורות ישראל אותם מי ימנה הן בכל דור יקום הגיבור גואל העם”, and “האירו, הדליקו נרות חנוכה רבים – על הניסים ועל הנפלאות אשר חוללו המכבים”. This entry was posted in Uncategorized on December 3, 2013 by rabbihaber.